The Wall Street Journal, Bloomberg Politics and other media said Trump will announce his nomination of Powell at 3:00 PM in the White House Rose Garden – according to sources familiar with the decision. Former Goldman Sachs official/current Treasury Secretary Mnuchin pushed for his selection, according to an unnamed administration advisor. Both men know each other well, Mnuchin reportedly calling him a safe pick. He, current Fed chairman Yellen, former Goldman Sachs CEO/current National Economic Council director Gary Cohn, and former Fed governor/investment banker and right-wing Hoover Institution fellow Kevin Warsh reportedly are the four finalists for the position – one remaining if reports are accurate, very likely at this stage. According to Bloomberg, Powell favors more financial deregulation than already and gradual interest rate increases. Interest rate strategist Gennadiy Goldberg said he represents “continuation of the status quo…a perfect candidate for Trump,” a Wall Street favorite, essential to be considered for the position. His business background includes legal work in the 1980s and investment banking on Wall Street. He was a Treasury Department official under Nicholas Brady, chosen by GHW Bush as Under Secretary of the Treasury for Domestic Finance. Later, he was a managing director for Banker’s Trust and a Carlyle Group partner, founder of its Industrial Group and US Buyout Fund. In 2005, he founded Severn Capital Partners, a private investment firm. In 2008, he became a managing partner for the Global Environment Fund, a private equity and venture capital firm investing in sustainable energy. From 2010 – 2012, he was a visiting scholar at the so-called Bipartisan Policy Center, an establishment think tank, supporting Washington’s imperial agenda and war on social justice, notorious for advocating deep cuts in Medicare and Medicaid. Powell currently serves as a Fed governor, nominated by Obama. Fed chairmen and governors require Senate confirmation. 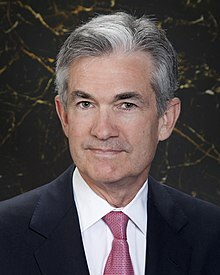 If nominated and confirmed as expected, Powell will shift positions at future Fed meetings from around the table to head it. As Fed governor, he supported policies Janet Yellen favors. On February 3, her four-term expires. Regardless of who serves as Fed chairman and governors, what matters is who owns and controls it. The 1913 Federal Reserve Act ranks as perhaps the most disastrous US legislation ever enacted, letting Wall Street control the nation’s money. It’s the most important policymaking tool, more powerful than standing armies for the global wreckage it can cause without firing a shot. Giving the Fed this power violated the Constitution’s Article 1, Section 8, saying Congress alone is empowered to control the nation’s money. In 1935, the US Supreme Court ruled that Congress cannot constitutionally delegate this power to another group or body. That’s precisely what happened, most Americans none the wiser. The Fed isn’t federal as commonly believed. It’s a privately owned cartel run by powerful bankers, headquartered in Washington as part of the subterfuge. Most people know nothing about money and banking. They have no idea how Fed policy affects their lives and welfare, other than raising or lowering interest rates. At the Wharton School, I took a required money and banking course, teaching me everything but what I most needed to know, ignoring Wall Street’s control. Later I learned how the Fed operates on my own, long before quantitative easing (QE) was used as monetary policy tool, a bonanza for Wall Street at the expense of Main Street, “monetary heroin,” according to David Stockman. It constrains economic growth. It doesn’t create jobs. It benefits investors instead of ordinary Americans. It works if used constructively. Money injected responsibly into the economy creates growth and jobs. When people have money they spend it. A virtuous cycle of prosperity is possible. Former Fed official Andrew Huszar managed its $1.25 trillion mortgaged-backed security purchase program – responsible for initial Fed QE. He called it “the greatest backdoor Wall Street bailout of all time,” a scam most Americans don’t understand. Sold as a way to help Main Street, the Fed’s bond-buying spree was a bonanza for Wall Street, part of the greatest ever wealth transfer scam from ordinary people to rich investors – money printing madness exponentially increasing the nation’s national debt. One day the chickens will come home to roost, the house of cards collapsing, Wall Street and most other large investors able to weather the storm, ordinary people slammed, the way things work under a predatory system. Fed chairmen and governors are appointed to maintain things, especially since the neoliberal 90s, the nation systematically thirdworldized. Wall Street and America’s super-rich never had things better. Ordinary people lose out so they can benefit. Featured image is from Wikimedia Commons.